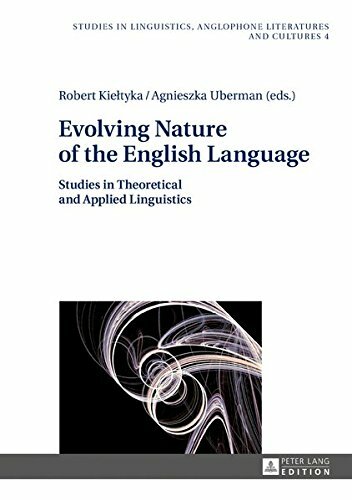 [PDF] Evolving Nature of the English Language: Studies in Theoretical and Applied Linguistics (Studies in Linguistics, Anglophone Literatures and Cultures) | Free eBooks Download - EBOOKEE! Description: This volume presents a collection of interdisciplinary papers pertaining to the most thought-provoking problems in the areas of both theoretical and applied linguistics. The contributors focus on contemporary developments in morphological, semantic and pragmatic theorizing. The contributions are also devoted to various aspects of the methodology of teaching English as well as some intricacies of translation. No comments for "[PDF] Evolving Nature of the English Language: Studies in Theoretical and Applied Linguistics (Studies in Linguistics, Anglophone Literatures and Cultures)".